What voice commands are there? 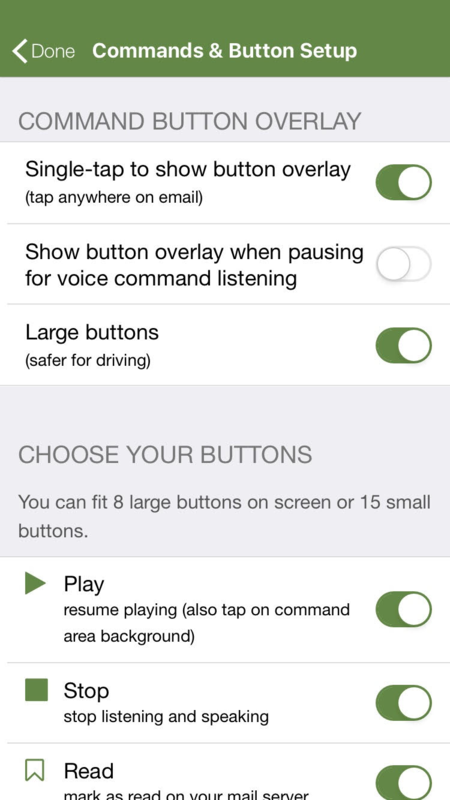 Tap "Commands & Buttons Setup" to see all the commands. Every command on this screen can be used as a voice commands. You can also choose whichever commands you want as buttons to appear in the button overlay. What if you are driving and want to know the commands? Say "help" and Speaking Email will read out the list of commands.